This is just about as flat pack as it gets. 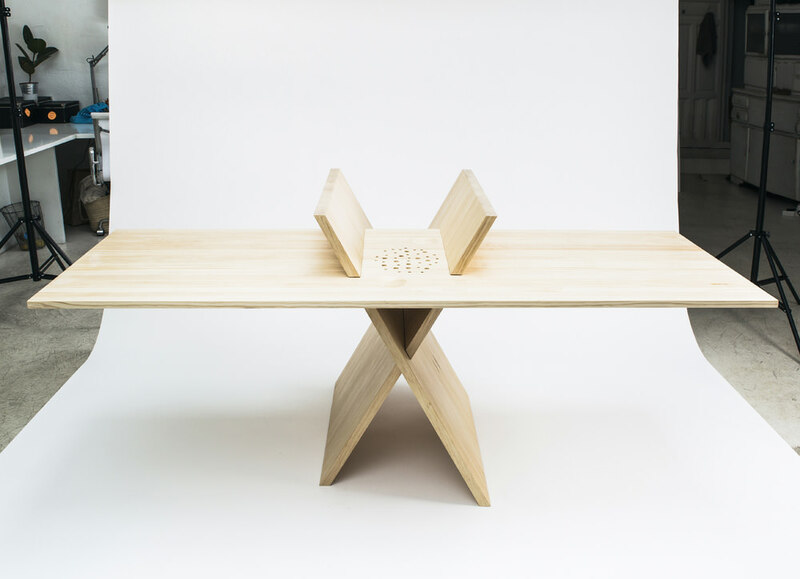 The XTABLE by MAYICE is composed of just 3 solid wood panels and requires no tools or screws to assemble. 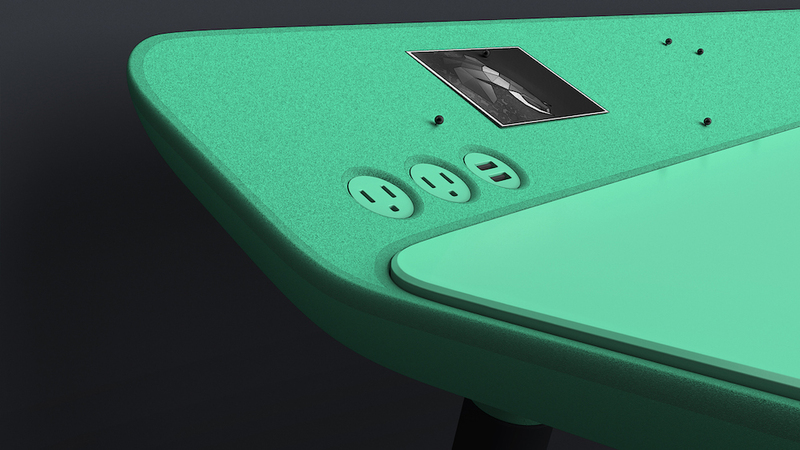 Instead, two of these panels slot together to form an X shape while a longer flat panel slides into two grooves to form the desk’s surface. 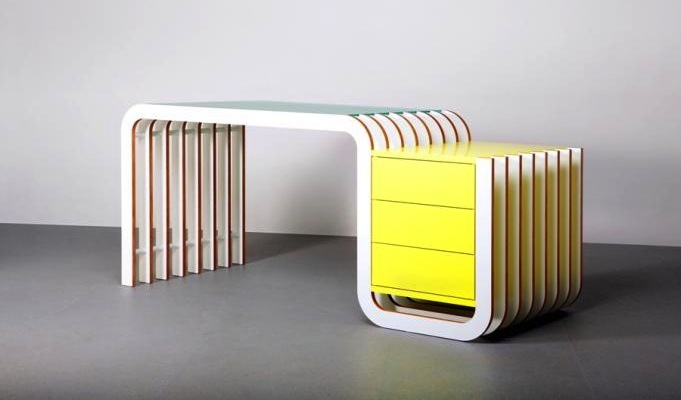 The desk was created by MAYICE, a design studio whose name is a rather convenient acronym for the two members of the duo: Marta Alonso Yebra and Imanol Calderón Elósegui. 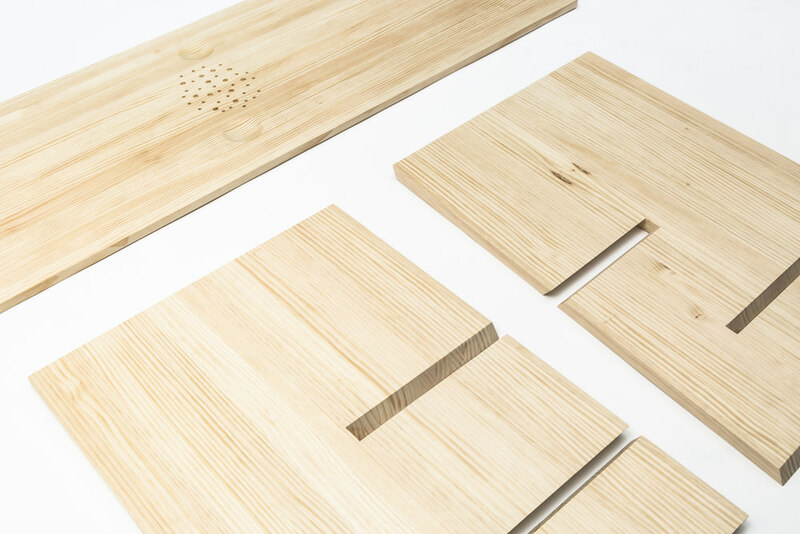 MAYICE were also assisted by EX Architects in the prototyping stages and the desk itself was handmade by Carlos E Pacajes. 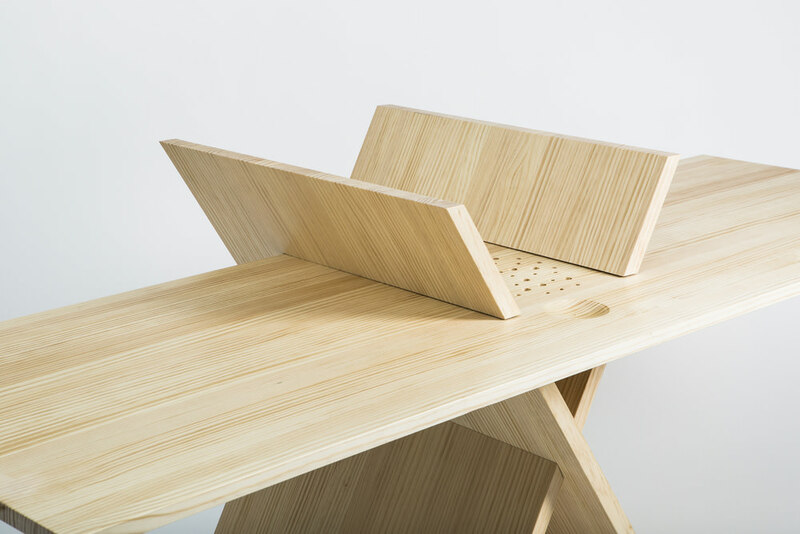 All three parts of the desk are composed of solid pine, with angled slots cut into the wood to form the X joint and suspend the table’s surface. 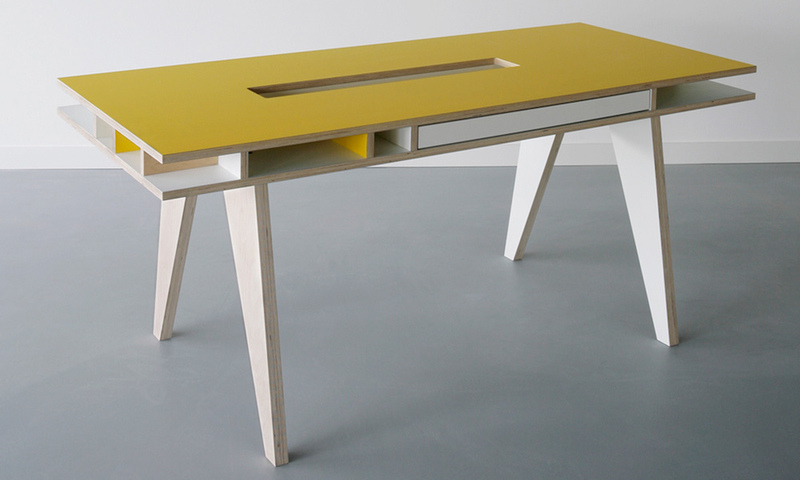 The horizontal desktop is a whopping 2m long and just 2cm thick. 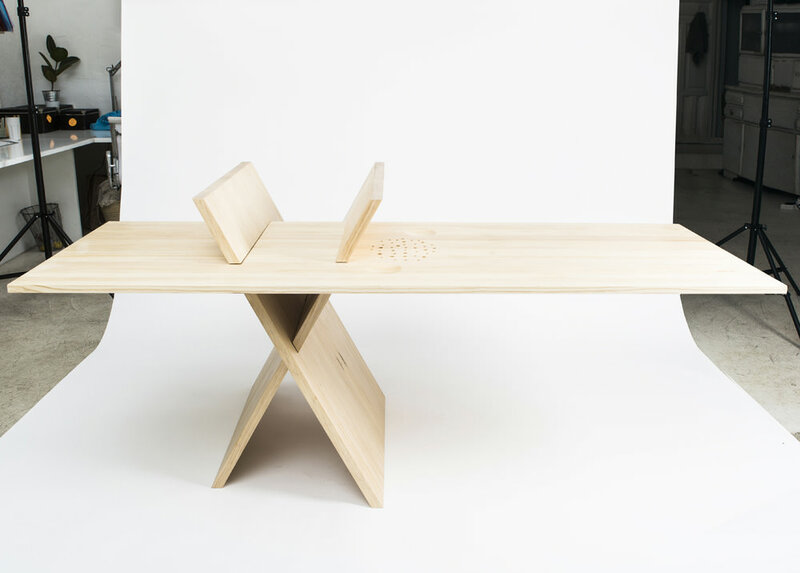 XTABLE is intended to be shared by two users, with a communal area at the centre for storage. 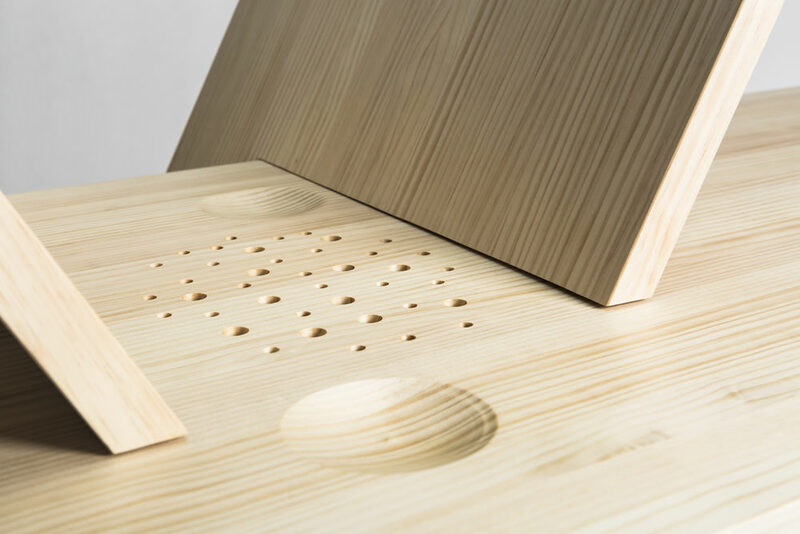 This central region features an array of drilled holes for integrated pen storage, and two smaller dimples cut into the wood to hold smaller artefacts — but my favourite aspect to this desk is the open space under the work surface. 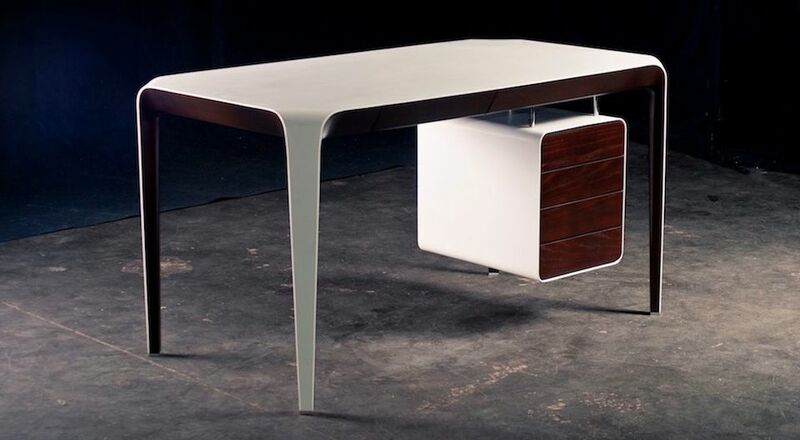 I’m constantly knocking my knees on table legs and feeling generally constrained by these vertical appendages so the unique open form of the XTABLE would certainly be a welcome change. 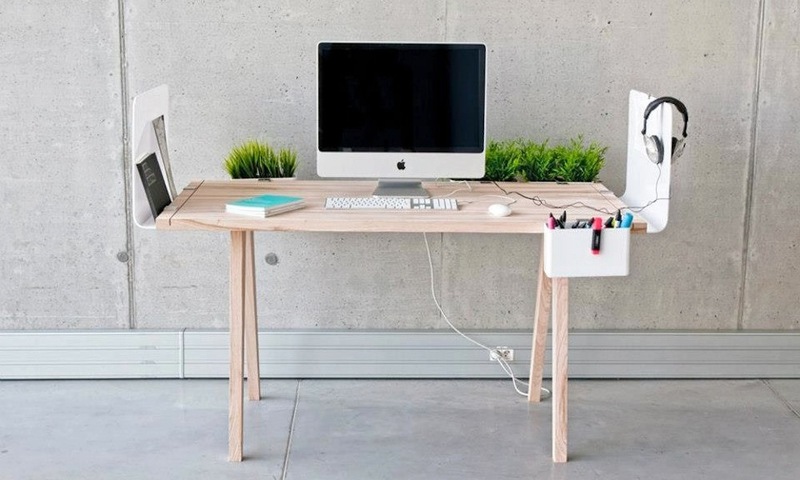 My only concern when looking at this rather unorthodox table design is that it could be liable to tip over if contents on either side are arranged in an unbalanced manner. 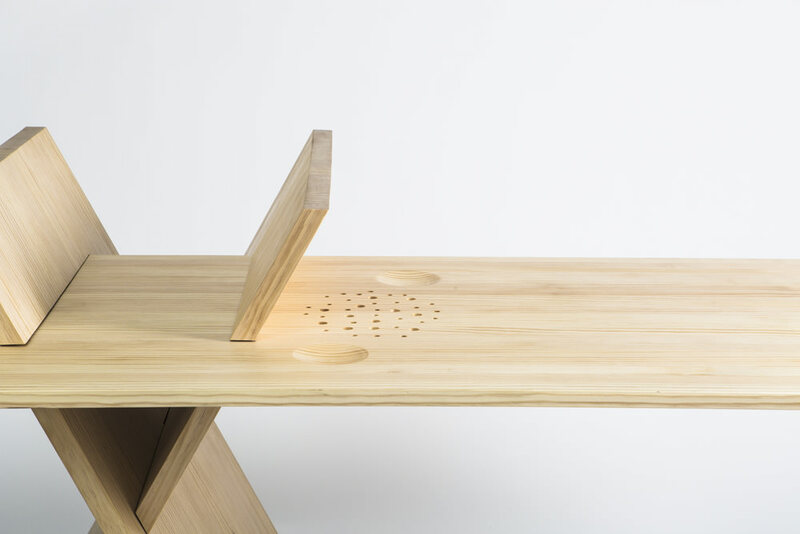 I’m sure MAYICE have tested this extensively though, and users can also adjust their desk to accommodate uneven weights by sliding the desk surface along to find a balance using the physics of moments. 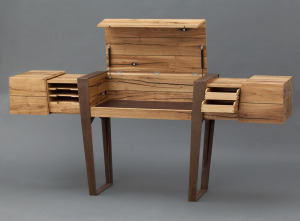 XTABLE by MAYICE is just breath taking. It is simple, lightweight and elegant. Also easy to carry and setup.